Actress Archana in Suresh Krissna's direction! The acclaimed actress Archana, who has also won the Urvashi Award, will be returning to the screens under veteran Suresh Krissna's direction, after 6 years. Though she will be returning to the screens, it will be the small screen, through a TV serial called Unarvugal. To be broadcast on the newly started channel Pudhuyugam, this serial is said to be a reflection of the emotions undergone by every individual in day-today life. 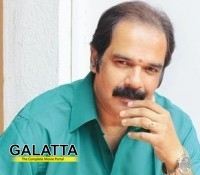 'Thenisai Thendral' Deva will be composing the music for this serial.